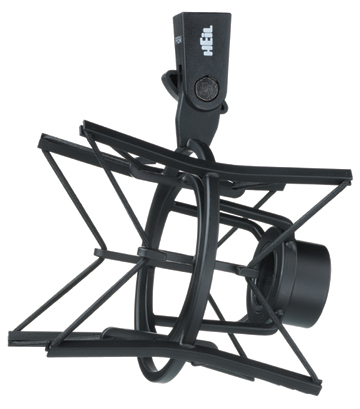 The Heil PRSM-B shock mount isolates the microphone from vibration. It is designed for the larger (2 inch stem) mics such as the PR30, PR40 and PR781. The flexible support systems absorbs vibration before it reaches the microphone. The industry standard 5/8-27 thread is employed.